100% RPG – No Java, Websphere or .NET. The good news for modern day developers: there are many choices for providing solutions to today’s business computing challenges. The bad news: with so many choices it’s far too easy to end up with a mishmash of technologies to learn and maintain. While sometimes that outcome (and the extra cost that comes with it) is unavoidable, there’s something to be said for keeping it simple when you can. Keeping it simple means you can likely improve both reliability and maintainability — both of which have very tangible business benefits. RPG-XML Suite simplifies and consolidates many communication processes while retaining IBM i as the backbone of your business. Since RPG-XML Suite runs directly on IBM i and uses the ILE environment and compiled code that RPG programmers are already familiar with, learning Java or .NET is not required, or necessary. Even better – developers don’t need to learn the many frameworks associated with each of those languages, which can have huge learning curves of their own. RPG-XML Suite is implemented with an easy-to-use API which enables developers to interact with HTTP and XML without hiding the fundamental details of each, which is exactly the opposite of some of those frameworks that attempt to abstract the fundamental technologies that developers should be striving to learn. RPG-XML Suite also allows you to keep the number of failure points to a minimum. Any remaining failure points are within IBM i itself — known across the world as one of the most reliable computing platforms available. Reducing the number of failure points means your application is easier to monitor and troubleshoot, should an error or failure occur. Keep it simple – use what you have, what you’ve invested in, and what you know. Yes, you may still need to brush up on your HTTP or XML skills. But you certainly won’t be faced with such daunting tasks as learning entire frameworks and the languages used to implement them. This allows you to maintain focus on the business value of your application and recognize opportunities to maximize its value over time. This is tough to do when expending large amounts of effort on the underlying technologies you’re using to build the application itself. 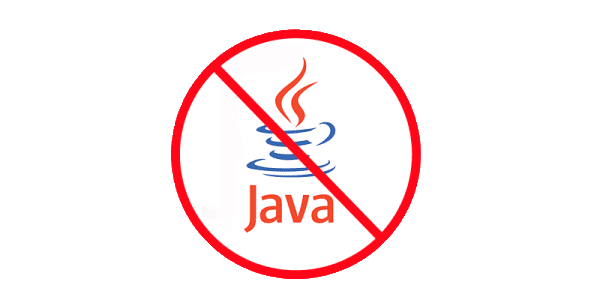 So let’s agree on one thing – enjoying Java, but keep it in your coffee cup.